Convicted tax buyers Scott McLean and John Vassen will emerge from prison to engage in lawsuits, one on defense and one on offense. Vassen will litigate in Madison County, where auctions of delinquent taxes at 18 percent sent former treasurer Fred Bathon and bid riggers to prison. McLean will litigate in St. Clair County, where auctions at 18 percent with the same bidders have resulted in no consequences. Trustees of American Homeowners Preservation sued McLean on April 27, alleging fraud and unjust enrichment. They claim he tricked Angela and Michael Cottom into paying him $800 a month for their own home. The trustees attached to the complaint a deed and a lease the Cottoms signed in 2013, after federal prosecutors filed criminal information against McLean. The trustees allege that his scheme involved winning 18 percent interest for taxes on their property, 1901 Menard, at a St. Clair County tax sale. “The tax sale occurred under similar circumstances to those at issue in the information,” Scott Fandre of Chicago wrote for the trustees. Courthouse records show that McLean did not record the deed, and that the Cottoms sold the property in February. They bought it in 2002, for $89,000, and refinanced it in 2006, for $166,700. On Oct. 17, 2013, U. S. Attorney Stephen Wigginton charged McLean with criminal violations of the Sherman Antitrust Act. Fandre wrote that on Nov. 12, 2013, taxes on the Cottom property were sold to Mississippi Valley Bond Company at 18 percent, the statutory maximum. McLean owns the company, and the trustees named it as a defendant. They also sued Prairie State Properties, a McLean entity that executed a deed and a lease with the Cottoms on Dec. 8, 2013. “McLean falsely represented to the Cottoms that McLean, or some combination of the defendants, was the owner of the real estate following the tax sale,” Fandre wrote. He wrote that McLean falsely represented that he had authority to request that they execute the deed. “McLean made the foregoing statements with the intent to induce the Cottoms to terminate their contractual relationship with American Homeowner Preservation and to make payments to McLean, or some combination of the defendants, instead,” Fandre wrote. He wrote that McLean unjustly retained the benefit of payments under the deed and the lease, plus interest, penalties and fees. He requested judgment in an amount to exceed $50,000. As of May 13, Chief Judge John Baricevic had not assigned a judge. In the Madison County suit, four Vassen entities claim county treasurer Kurt Prenzler harmed them by conducting a tax sale without a court order, in 2012. 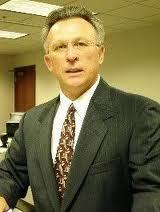 Paul Slocomb of St. Louis sued Prenzler on May 13, individually and officially. He wrote that plaintiffs purchased 272 tax certificates for $421,152.81. He asked for declarations that the tax sale was null and void, and that each certificate was a sale in error. He wrote that plaintiffs suffered and will suffer damages from incurring more than $400,000 in fees. He accused Prenzler of reckless disregard for truth, culpable ignorance, fraudulent misrepresentation, and outrageous indifference to unreasonable risk. Vassen serves a sentence of 24 months, and McLean serves 18 months. The website of the Bureau of Prisons shows both in the penitentiary at Marion. It shows a July 7 release date for McLean, and Dec. 12 for Vassen.